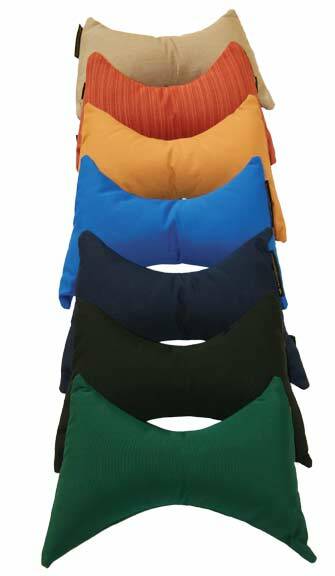 Sit back and relax with our new Hanging Chair pillow. Rest your head against the comfortable and durable weather resistant fabric. Attaches to your Hanging Chair with four loops of Velcro®. Pillow case is removable for washing. Same great fabrics used in our hammock pillows. Select fabric from drop down list. Don't see a fabric you want? Other fabrics are available by special order: please call 1-800-688-8946 or email us through our contact form.